Chinese politics from the provinces: Nanjing And Beijing At Odds? While Nanjing government authorities seem fairly adept at stiff-arming social protest, they continue to struggle to bring prices in the city's housing market under control. Housing starts across China are up in the opening months of 2016, and Nanjing remains in a bit of a frenzy--even while Shanghai cools off. There’s a brief account of the situation in Nanjing on the website of People’s Daily today. It's not complimentary of the fever taking place, and without signalling out officials for blame, it's clear that the intention of the piece is almost editorial: That the Nanjing city government has allowed the market to slip from its control. Perhaps Beijing is genuinely annoyed with the housing market itself in Nanjing. 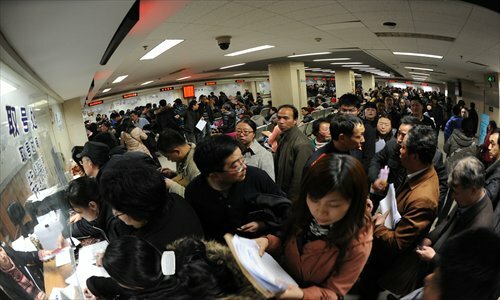 But it's also possible that, in calling into question Nanjing's inability (or unwillingness) to manage housing prices, hardliners in the Xi leadership are expressing frustration with the way that the Nanjing authorities handled demonstrations about admission quotas that struck the city on Saturday. The Xi leadership is still trying to forge some sort of sustainable political consensus at the top. For the central government to get into a fight with Nanjing about the way its officials are managing the city and its specific challenges cannot be a good thing for anyone.